Try mouthwatering halibut, tomato salads and grilled calamari to form your opinion about this cafe. You can order tasty halo halo. Most visitors mention that the waitstaff is cheerful. The prompt service is a big benefit of Balıkçı Kahraman. Prices here are reported to be attractive. It's a pleasant place with the pretty atmosphere. The rating of this place on Zomato is 4. 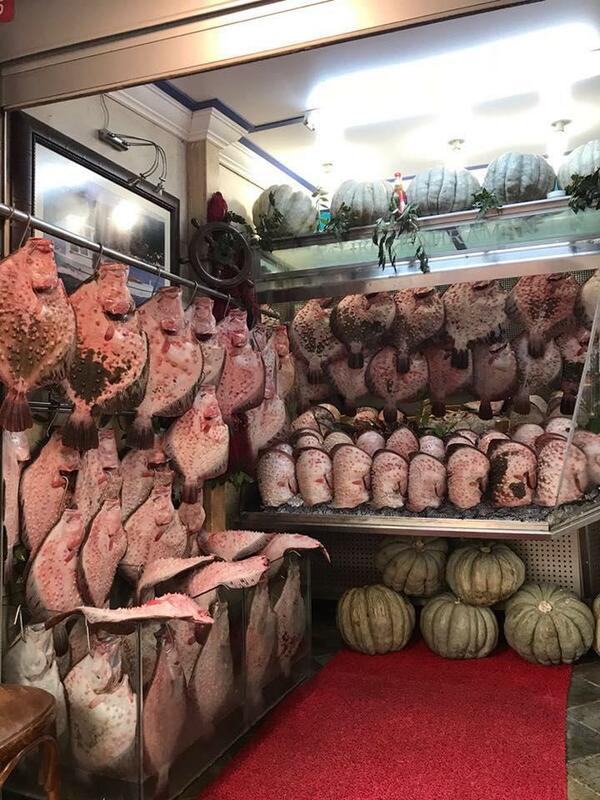 This is the only place where you must eat turbot prepared a la Kahraman way in its season. This is a very expensive mistake to make. The fish is an ordinary served and cooked with bland appetizers. You’ve be better off eating the same fish from an any other fish restaurant 4(four) times cheaper. For the price you pay there is nothing special except the simple tomato salad.Pahaliya patlayan bir hata. Kalkan baligini 4 kati fiyatina yiyebileceginiz ve domates salatasi disinda cok ozel lezzeti olmayan bir restaurant. Nice food but the price is well over the top. There is no atmosphere, and when you have a look outside there is nothing but a wall.We were offered half a plate of anchovies which were meant to be "complimentary" but it was added onto the bill. Another bottle of water arrived at our table whilst we were only half way through our own one, they charge 30TL per bottle of water.All in all we had Calamari, Turnip, Prawns, Talbot, 2 small plates of desserts and 2 bottles of water; 750TL. An average worker earns 1,600TL a month in Turkey.